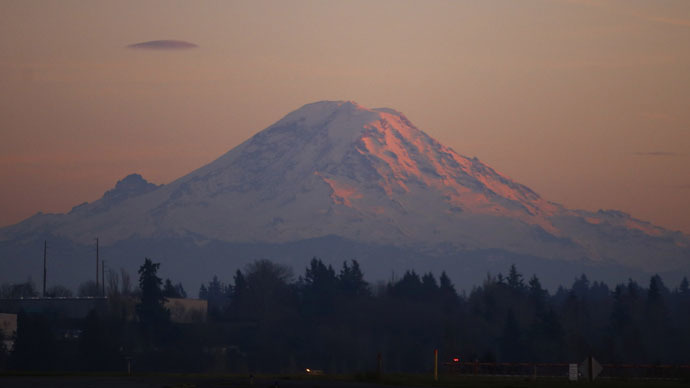 Washington Governor Jay Inslee declared a statewide drought emergency, citing historic low levels of snow, shrinking rivers and water restrictions to farmers already in place. Authorities are expecting a $1.2 billion crop loss this year. According to the governor’s office, irrigation districts in the Yakima Basin, the state’s most productive farming region, have resorted to rationing in order to extend water supplies. In the Walla Walla region, the authorities are shifting water “from creek to creek” and even hauling the fish upstream to cooler water, in an effort to preserve the steelhead, Chinook and bull trout populations. Last month, the US Geological Survey found that 78 percent of streams around Washington were running below normal and some were at record lows. The worst drought in a decade has the state’s Department of Natural Resources expecting an increase in wildfires as well. Bellon added that forecasters were calling for a warm and dry summer, which would only increase the demand for water. “We are preparing for an intense wildfire season,” she said. #BREAKING@GovInslee declares a statewide drought emergency. Dept of Ag predicts $1.2B crop loss this year because of the drought. Snow packs statewide have dwindled to just 16 percent of normal, the governor’s office said. The melting snow in the spring and summer is what keeps the state’s rivers flowing. However, the governor’s office said, the snow has already melted in the central Puget Sound basin and upper Yakima basin. Flowers are blooming on the Olympic Peninsula, west of Seattle, where there would normally be 80 inches (2m) of snow at this time of year. On May 1, the Natural Resources Conservation Service found 11 snow sites in the state that were snow-free for the first time ever. Of the 98 snow sites the NRCS investigated across Washington, 66 of them were snow-free. Bellon, of the state’s Department of Ecology, told the Los Angeles Times that the state’s hydroelectric capability seems to be holding up, at least in the short term. Most of Washington’s major dams and power projects are on the Columbia River, which is fed by snow from Canada, she said, and Canadian snow packs appear to have fared much better. Inslee had previously declared drought emergencies in three regions of Washington, expanding the declaration in April to nearly half the state. The state’s Department of Ecology is using its existing funds for drought relief, until the legislature approves the governor’s request for $9.5 million in drought relief funds.